Don't know about Djevvy - I will try and find out. Neither Jas, Ovalteeny or me worked at the pit. I remember I applied to be an electrician at the 'A' pit a few weeks before I left the Grammar school, July 1965 but what told there were no apprenticeships going at the time so I would have to wait 6 months or more. Didn't tell me parents as I would have had me ears clipped but I always enjoyed watching me dad (who eventually became an electrician at Blyth Power Station after years of labouring) strip down and repair any electrical appliance belonging to us, or the neighbours. My mam, eldest of nine, Beatty Road (friends of the Graham's that lived near you in Hollymount Square) never wanted my dad to go down the pit when he cam out of the army after WW2. My mam had to help me granny look after the miners in the family and she knew all about the dangers. My uncle Luke Henderson was at the Dr Pit until an accident prevented him from ever working again. Some kids had found some detonators from the Dr Pit and were playing with them. Luke took them off the kids but one went off and me mam always said that the scars on his chest looked like a map of Great Britain. 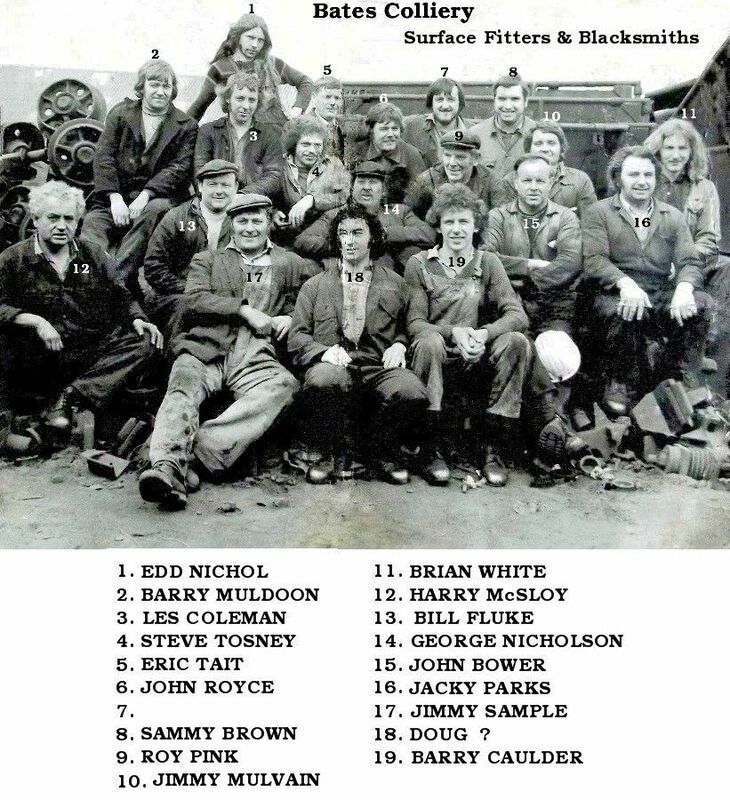 So granda Martin Henderson, uncles Martin, Lule.,Bob and George all worked at the pit. The second youngest son, Brian, joined the navy. Jas worked for LEP transport in Newcastle and transferred down to the London Office. 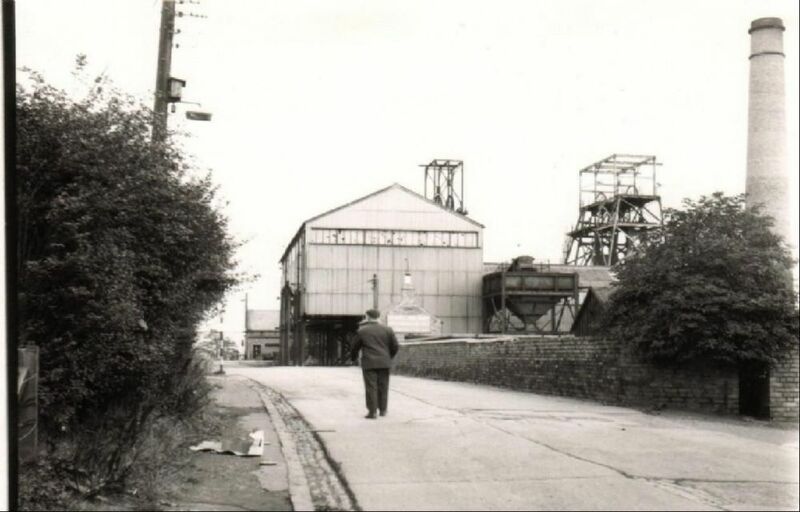 After a short spell at Blyth Ship yard, whilst I was waiting for an apprenticeship at the 'A' pit joined, and it was announced that it was going to close I joined the Civil Service, much to the delight of me mam. I transferred from DHSS Longbenton to a DHSS Local Office in East Ham, London. I can't remember what Ovalteeny was doing before he let Bedlington. None of us had any musical talent, just a sense of adventure . I have attached a couple of photos of the headgear from different viewpoints showing the unusual arrangement of the pulley wheels at the “Little Pit’. 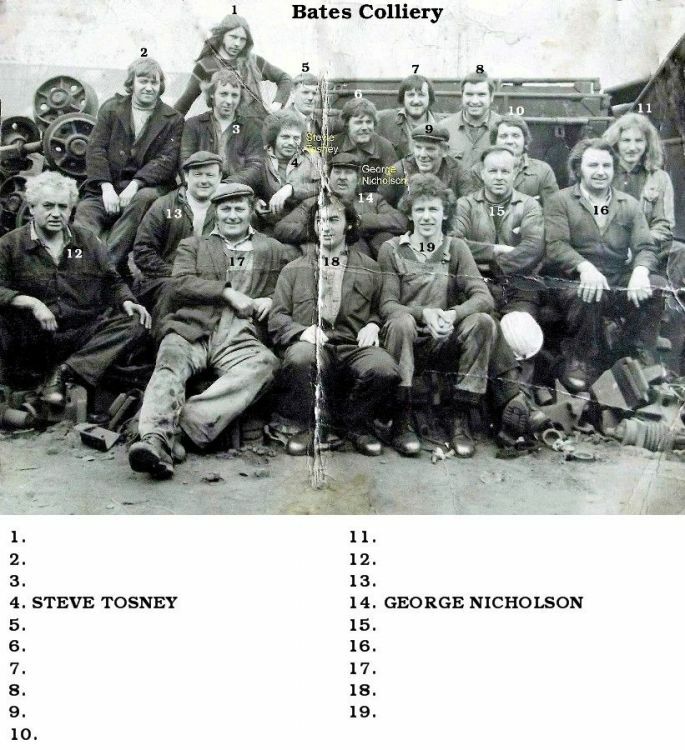 In James Tuck’s book “The Collieries of Northumberland”, there is a chapter on “The Auld Pit” and he says this is known as a ‘Tandem Headgear’ and that the only other tandem headgear in Northumberland was at Seaton Delaval colliery. 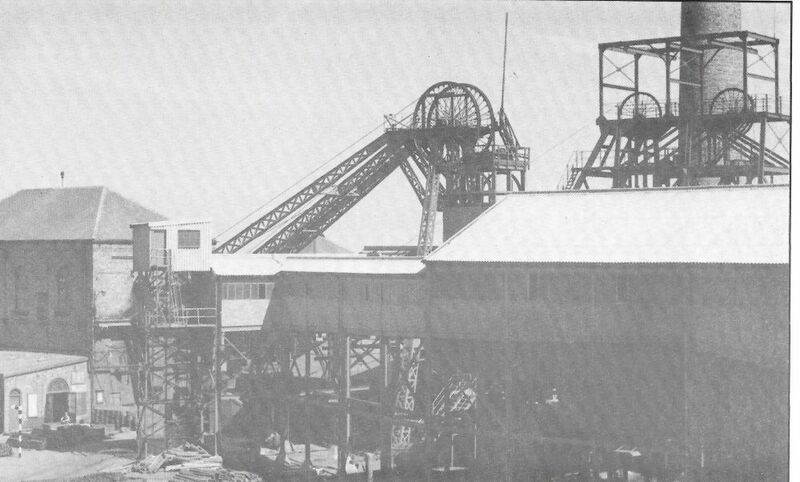 He also mentions that the ‘Little Pit’ had 2 small diameter shafts but until I read your posting I didn’t appreciate that the reason for the tandem configuration was to position the pulleys over two separate shafts situated next to each other - Thanks HPW for your excellent posting. There must have been a ventilation shaft, so the ‘A’ pit would have had 4 shafts in total. @HIGH PIT WILMA - unfortunately Davey Bower is no longer with us. If only I lived in Bedlington and still saw some of the lads from my teenage years. Let's try one more photo that I think one of the lads in it, Eric Theilman, worked at the 'A' pit. Eric lived in Shop Row so crosed the lines at the bottom of Shop Row to go to Barrington CP school. 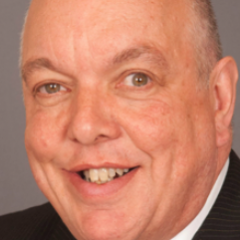 After leaving secondary school I think he started the pit along with Norman Hills and Davey Bower. but was admired by what he swung around in the pit baths . .... that must have been one of them bonny coloured, chequered bath towels that they sold in the pit canteen. Hi Alan! Thanks for letting me know about this! A canna think where Union Street is.. but aal check it out and go to see it to take a picture for posterity! Been a bit heavy here for a while now wi health..both of us. This is a great way to remind people how the town prospered by the hard work done by the Miners!.............. Alan, this was my reply to the post aboot the mural, and I lost it... noo it has been restored!! SO!.. Eric Thielman.... was my Electrician (or fitter... not sure noo.. lang time ago! ), at Bates pit.. canny quiet lad.. when a was a Deputy, he wud dae owt ti help ye. A nivvor knew he was a Bedlington lad. ...... and we aal wanted a bonny big towel like his..... it wasn't a school tale either..!!... eh, he really was a canny lad. Alan, the ventilation fans were aalwis connected to the up cast shafts in aal pits. Ye had wat was caaled the "Fan Drifts", which led from an "Inset", aboot 20 feet doon the shaft from the top, and which "Drifted" up and aroond ti thi Fanhoose. The Upcast shafts were aalwis just for Manriding, cos ye had ti travel through two sets of airlock doors which was impractical for any thoughts of high speed coalwork. But noo ye mention it, a really canna mind where the upcast ventilation shaft was, cos they had to stop coal drawing to ride men.. and the Ba ksmen and onsetters were paid so much for riding men as opposed to coal... they were paid by how many Scores of tubs they set up the shaft. So there must have been a separate air shaft.. or drift. Queer for me not ti remember!!... worrying! Eric was originally from Shop Row and went to Barrington CP school same time as me - 1953 to 1960. Bedlington Station secondary modern school - 1960 -1965. 'A pit when he left school but then went out with, and married a Bebside lass - Kathleen Popely and moved to Bebside. I think the first house he lived in at Cowpen was the street just past the Sydney Arms pub = Cowpen Road. No idea where he moved to after that. Union Street is where the old Wallaw cinema ( now Wetherspoons) used to be. Going down Union Street, passing Wetgerspoons on your right the mural is just a 'gud hockle' up the road on the left. If you can't get down to Blyth and want a copy of the mural that I posted from Google street view then I am sure we can get it to you via your niece. Is your niece on the local Facebook groups - Bygone Bedlington - Past Times (just change it's name from sixtownships) ? @HIGH PIT WILMA - probably long before your time. Bates colliery lads. Photo, and the tow names, posted on Facebook by Stephen Tosney. Hi Alan! Aav got problems wi health at yem,and haven't been able ti come onti the forum as much,a was pleased ti see young Steve Tosney on this pic,he was a canny lad,and a talented lad also! A wonder if he can mind when he did the engraving in colour on glass wine vases etc,he did a lovely set of two glasses in a nice presentation box for my Nephew and he's Fiance as an engagement present from us...a lot of years ago!! Say whatcheor ti Stevie from Billy,thi best deputy at Bates Pit in the 1970's....!! [....says he! ]...heh heh! No 11 is nagging at me mind wi a "Billy..?" ..either a fitter or a blacksmith..a canna mind...might be totally wrang....just a nagging feeling! Also No 17 looks like a fitter caaled Colin.P. ?..again..cud be wrang! By the way Alan, a been and seen the mural..it's great! Thanks for offering ti get it ti me anyway! 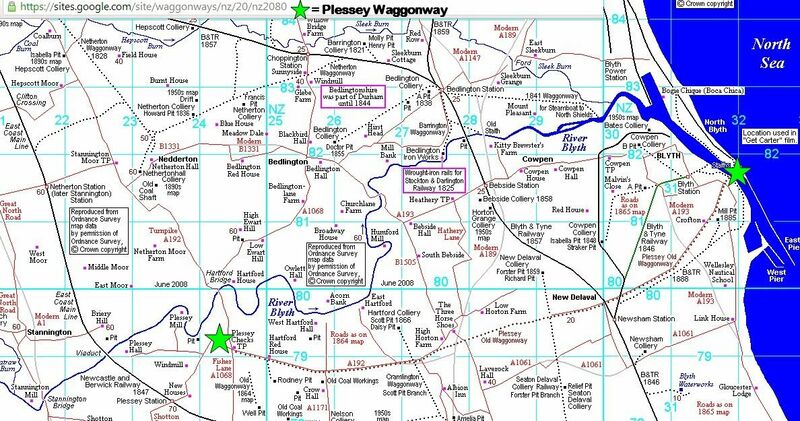 Alan,aav just been studying them two pics of the tandem heedgears,wat we discussed earlier,and thi top pic isn't the Aad pit,that must have been Seaton Delaval heedgears,cos the Heapstead is totally different ti thi Aad pit. Whey ye can see by the top frameworks of the two pits,as weel. When ye went owa thi rail crossings from the baths ti thi lamp and tally cabin,at thi aad pit,ye wud luk owa ti ya reet and see the steps leading up onti the heap. Thi top pic shows a different configuration,where the heap is in front of the heap steps,which ye can just see a few treads in the middle ground,and on thi bottom pic at thi far end of the pit road,ye can see the tally cabin at thi Aad pit. A can just picture me and me marra's sitting on thi grund ootside yon building...waiting for thi buzzer ti blaa..on a luvly reed het summer's day,and then just seeing thi bright sunny sky disappear as the cage went doon past thi horsehole...then it was blacker than neet...aal in thi blink of an eye! !.....wat wi did ti put a loaf o' bread onti thi tyeble for thi wife and kids...! Whey yi bugga!Barry Muldoon went on ti Deputy -work and eventually became Face-Overman in charge of wor District doon the Three-Quarter drift..well-liked and respected by all the lads.One day we had a stretcher-case,and we carried the lad oot doon the Mothergate till we came to a lang deep swalley..pump had burnt out,[which was the norm! ],and the water was above waist high..Barry was with us escorting the stretcher bearers,[me included! ]..the swalley was about 50 yards long,and ye cud see the girder crowns gaan away in the reflection of the black stinking water.Barry looked at me,[cos aa hadn't been off Deputy-work very long,and had more pit experience than him..with respect..],a said to him.."Barry..we haven't got any choice...!" ...he looked at me again and replied.."ya reet bill..aal stop the belt.."
Barry stayed in control at the latchbox,and "Janted" the conveyor,[got the conveyor belt button man to switch the belt on and off in short bursts],each time the belt would run about 15 yards and stop...we were thrown up and down over the rollers and the lad on the stretcher was screaming in pain...but there was no option..we were in a dead-end situation,at this point the conveyor belt was slung high to the roof because of the deep swalley,to keep the belt-line straight and level as possible,but it mean't we couldn't get back off the belt once we had cleared the water,so Barry had to keep Janting the belt for about a hundred yards till we were near to the ground again..! Maybe doesn't sound much of a story,but I can tell you that going backwards on a conveyor,nearly ten feet up from the ground,in bad conditions,with the risk of being thrown off the belt,or the belt breaking with continuous Janting,and being cast into four feet deep black freezing water..wasn't much fun..and I can honestly say I had the wind up until we were safely on the ground again. After that,we had to carry the stretcher half a mile more outbye,and up a quarter-mile long drift,with a 1-in -6 gradient,rough-shot stone ground..slipping and sliding all the way,and hanging onto the girders with one hand for support,and holding the stretcher with the other hand. Les Coleman..[Deceased..R.I.P. Les..],was one of our fitters when we were winning new coal-faces and roadways oot..["Composite-work"..it was called..]. Les wasn't very tall,or well-built,but what a fitter he was,among the best...and we had some gud fitters,and electricians!! He wud have been an apprentice on this pic,cos he was an underground coalface fitter full-time....so would Jimmy Mulvain,he was an affectionate quiet lad,unlike Les and all the tradesmen,who had wits sharper than a pit bowsaw! !..ye had ti be ready ti counter most of the crew,or they would make mincemeat of you,in front of an audience underground..Jimmy didn't have that in him...so docile and mannerly,he used to take a lot of flak from his Marra's..in the way of banter! Eh! These pics bring back loads of memories! Sadly,a lot of the lads died at very early ages,and we often wonder if it was through handling fluids such as Phosphate-Esters ,Hydraulic fluids,Aquacent soluble hydraulic fluid,gear oils etc..another one was "Rodol",a caustic agent used to burn heavy Carbon deposits off the Flame-traps on the Diesel loco's used underground..as well as diesel fumes and exhaust fumes from the loco's. Thanks for posting Alan,and could you pass my regards ti Steve,please! ............,and could you pass my regards ti Steve,please! @HIGH PIT WILMA - another photo from Steve. This time Surface Electricians. Steve named them but wasn't sure about the bloke on the right as you look at the photo. he thinks it could be Basil Timlin the brother of Bill Timlin who is in the photo. 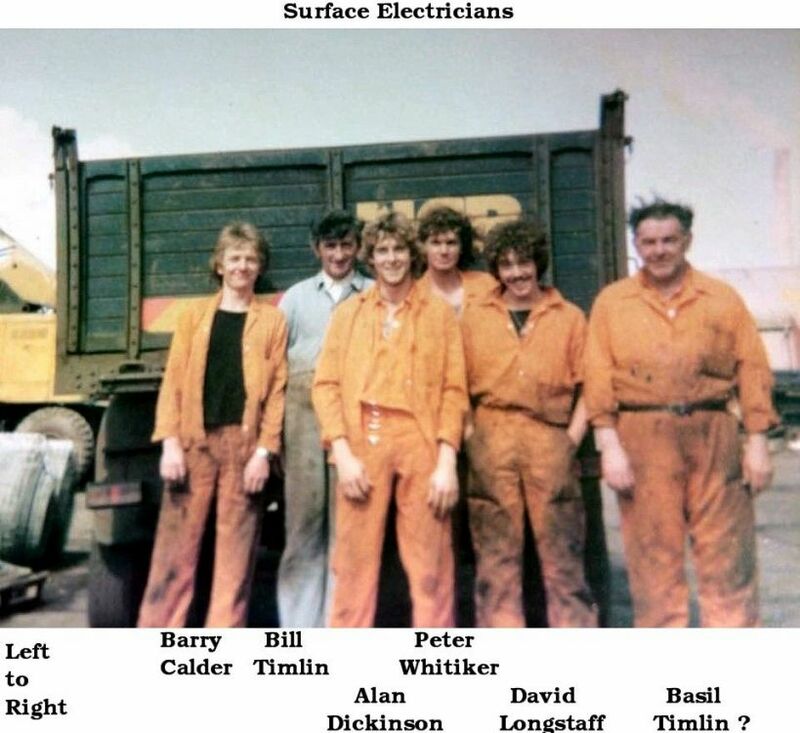 Peter Whitiker is the only lad a can mind of on this pic,he also went doon the pit when he passed he's apprenticeship. He was a reet canny lad as weel,quiet,sociable..when a think back,we had a greet big bunch of canny lads,that's hoo the banter and comradeship was so strong and binding! 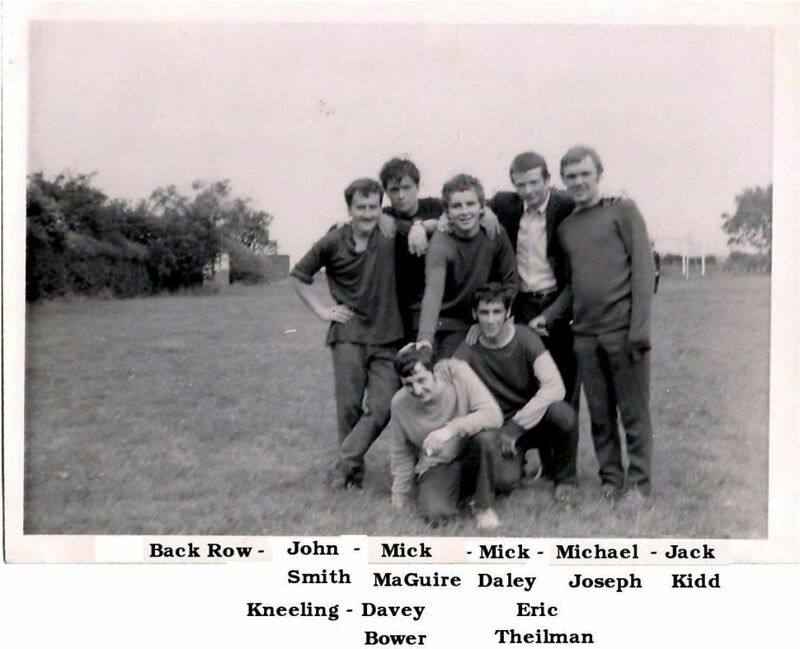 Some of the lads went on ti be Engineers,Harry Ross,Joe Tansey,instantly come ti mind..they were gud fitters,John Bennett..electrician..went ti be an engineer..Steve Carroll was a mechanical engineer..last time a saw Stevie was alang the road at the Stakeford Welfare,he was running..[or helping ti run?] 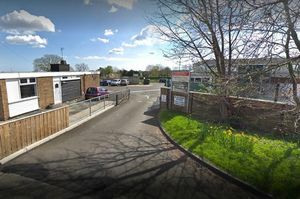 the Bowling Club...that was a few years ago..Geordie Lawson..electrician..John Coultas..fitter..Ted Carse.fitter...[he's Faatha was a Deputy..a really funny fella,and a gud marra of mine when aa was a Deputy] ..a cud gaan on and on...aal smashing natured lads.. It was a culture shock when a got ti working in factories and small Cabinet-maker's workshops,after the pits closed ..better working conditions but nae comradeship or banter like doon the stinking black hole! New member - very interesting and informative thread. Does anyone know the small fenced-off Coal Board site on the south bank of the river between Humford Mill and Plessey Woods? It’s near the top of the bank, and there’s an entrance door and a half-visible fan of a few feet in diameter. Presumably it’s a ventilation fan and its machinery. Unfortunately I didn’t have a camera on me when I saw it, but it’s just north of the Hartford part of Cramlington, so would it likely be related to the Hartford (or possibly Plessey) mine? It’s not easily accessible - I came across it while on a walk to see how far the footpath goes on the south bank after the steppingstones at Humford. The path soon becomes blocked by fallen trees, overgrown bushes, etc, and is quite dangerous at a couple of points, with steep muddy drops to the river! I know the walk you describe in your post (did it last year) but didn’t see the structure you mention. 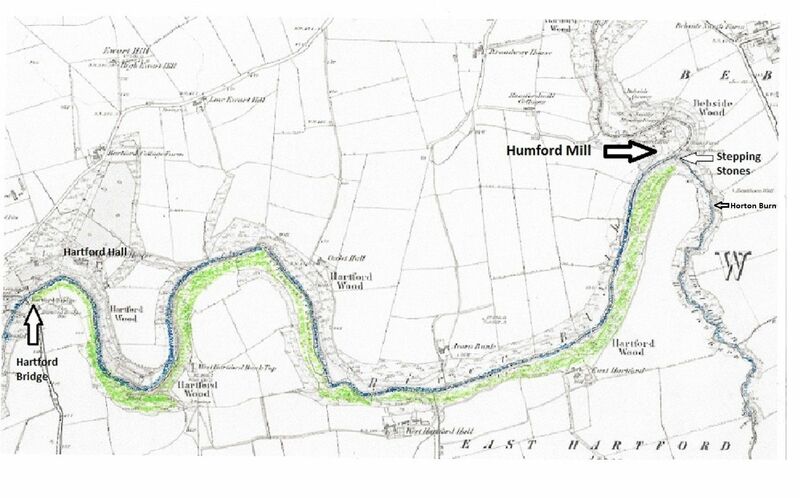 I have attached a plan with the Hartford Woods shown in green. The footpath leads through these woods. 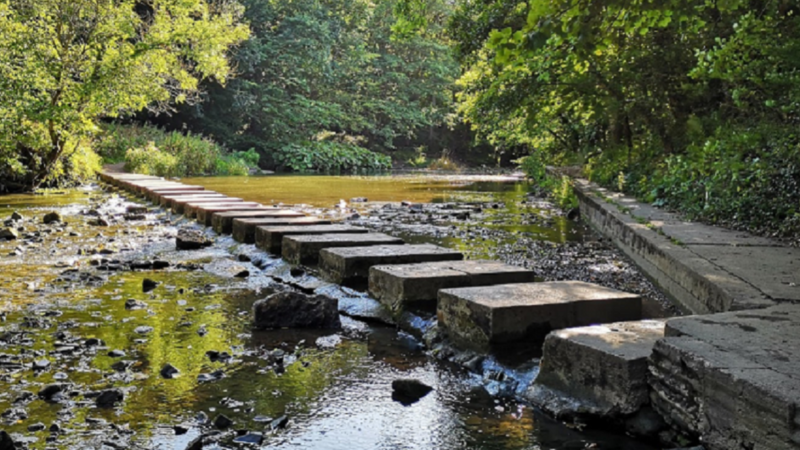 As you say, to get there, you have to walk over the stepping stones at Humford Mill to the Hartford side of the river, turn right over the wooden footbridge that crosses the Horton Burn and into Hartford woods and follow the (difficult) footpath that leads to Hartford Bridge. Can you give a rough idea of the location of the structure you saw on your walk? There are two distinctive features on the walk; first the huge concrete culvert that was built to drain water from Brentford Nylons and the other is the dam that used to supply water to the swimming baths. Is it near any of these two points or at the end of the walk, i.e. the field that leads to Hartford Bridge (opposite Hartford Hall)? Any other pointers would help, e.g. at the top perimeter of the woods along the fields, or near the river. Hi James, thanks for your reply. I can understand how you didn’t see the site, because at some points where the path had disappeared or become blocked, you had to choose between going higher up nearer the fields, or lower down nearer the river. The site was indeed near the top perimeter of the woods near the fields, and it’s only visible when close to it, so would be easily missed if you walked past it lower down, and I’m not even certain I’d go exactly the same way if I tried again, due to the options of taking different routes when the path runs out or becomes boggy, etc! However, there is a narrow path running alongside it for a short stretch, which I guess is used when the site is inspected periodically for security/safety. Difficult to estimate exactly where it was, I’d guess about 2/3 of the distance to Hartford Bridge, I think some time after passing the attached structure (not sure if that’s one of the structures you mention). Maybe I’ll try again in the summer when the path is hopefully not so muddy at some points, and try to get a photo of it! Welcome to thi forum! ...I didn't know about the fanhouse you mentioned,but I'm sure my Son will know..I'll have him asked tomorrow. The structure in the river gave me a blast from the past!...there used to be two huge pipes suspended over the river,and carried on the centre pedestal.It's years since I was up the river,so I canna mind how big the diameter was,of the pipes,but I do know they must have been about three feet at least..cos we kids,at about 10-or 11 years old,used to climb around that red brick parapet,which had a wrought iron gate..locked..to prevent anyone getting onto the pipes!The mossy cement "Haunching",you can see on the left,where the small access ladder is,was our means of getting onto the pipes.by clinging to the brickwork,and edging our small feet around on that sloping haunched bit till we got onto the pipes...we used to say that if our Mothers' could have seen us walking..even running..across the river,on the pipes high up...they would murder us!! They were probably aboot 20 feet high,but that was a lang way up when ye were just owa three feet tall yasell! We used ti lie owa thi side,and see who could scratch their initials the furthest doon the side,withoot faalin' inti thi river....taak aboot laddies?!! Aam just trying ti reckon up..thi holes in the stonework show the diameter,and if the stones are aboot 15 inches thick,then the holes cut through two-and -a-bit,of the stones,so aam not far away in me rckoning. If they were measured and found to be a lot less,then it just shows hoo daring ...and glaaky!,us kids were ti choose a playgroond like that!! Anywheh,thanks for prompting me memoirs...luvly seeng this pic of my "Kingdom"!! The structure in the photo is a few meters downstream of the dam I mentioned in my previous post. As HPW states they are what are left of the supporting columns for two huge pipe that carried water from the dam down to the waterworks at Humford, located on what is now the car park. 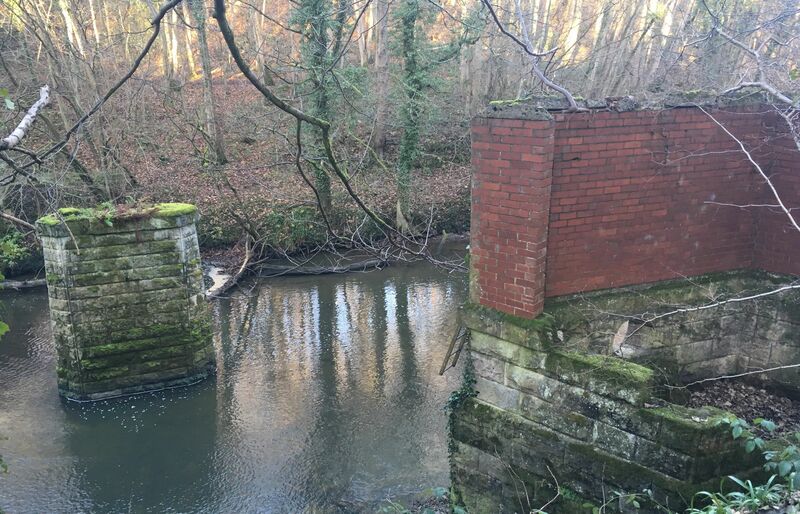 If you walk from the dam down to Humford on the Bedlington side of the river, remains of the pipes and the brick supports can still be seen here and there. 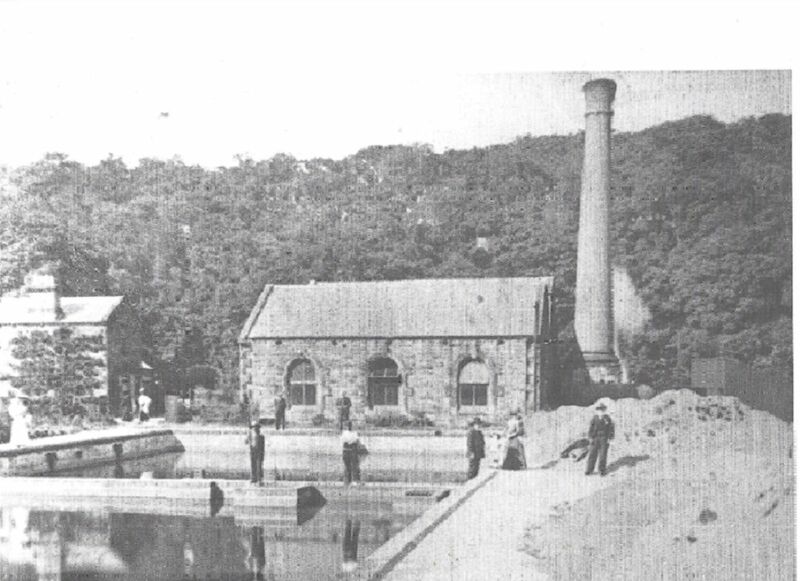 According to Stephen Martin’s book on Bedlington, the steam driven pump station was commissioned in 1876 and pumped filtered water to the reservoir behind the Red Lion and operated for 50 years. The (empty) reservoir is still there and can be seen from the back entrance to the Red Lion. Before the waterworks, water in Bedlington was obtained from wells and springs. As we know, after the waterworks closed in about 1925 they were changed into an open air swimming pool (Humford Baths) so the pipes from the dam then supplied water to the baths until they closed. Anyone know when the baths were officially opened and when they closed for the last time? The photo of the waterworks was taken over one hundred years ago.